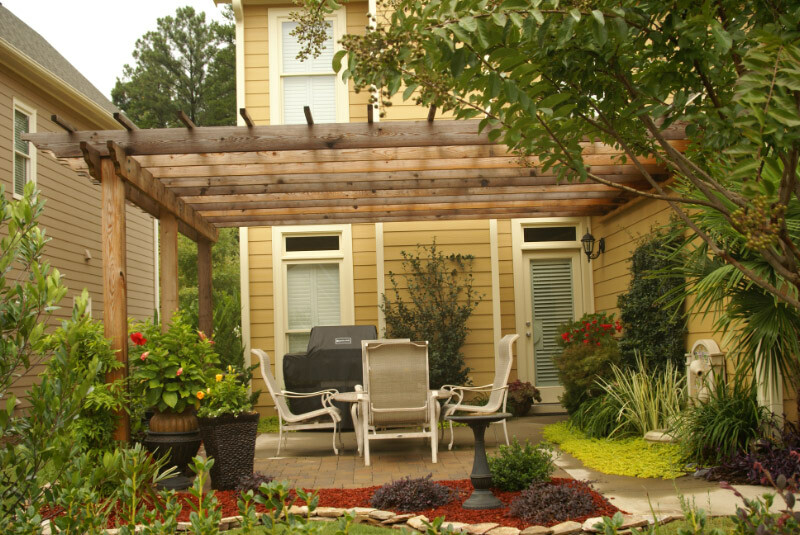 Case: The area is too small and open to enjoy. 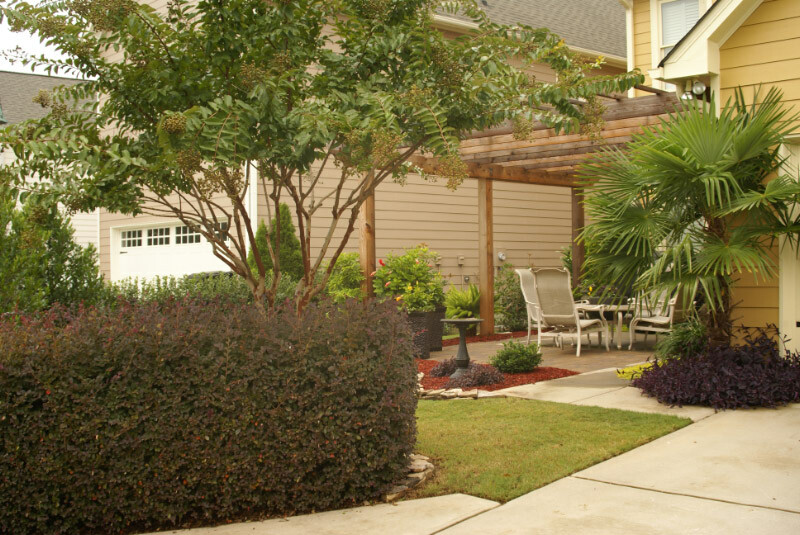 This is a cluster home community without much privacy and we would like a more intimate area. 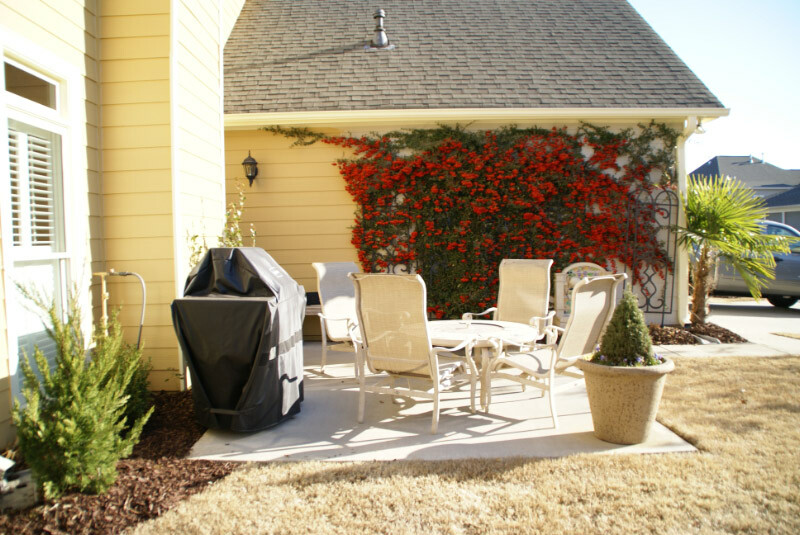 It can also be too sunny and hot in the afternoon to enjoy the patio. 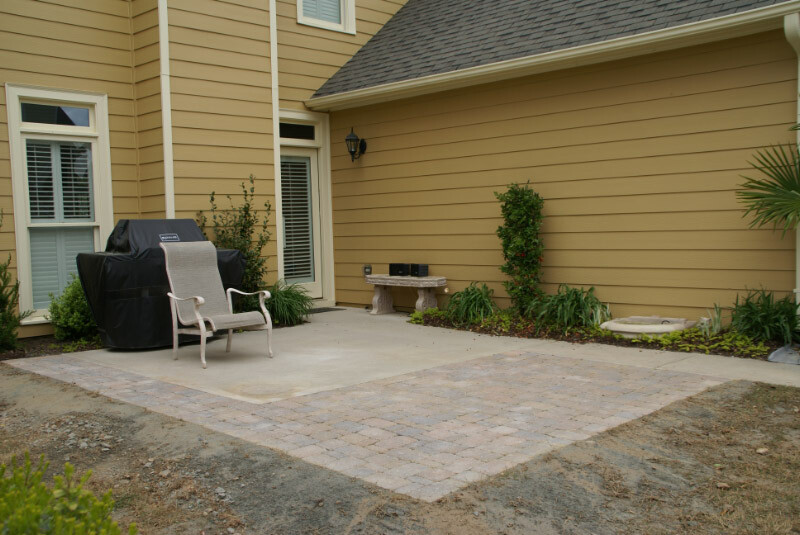 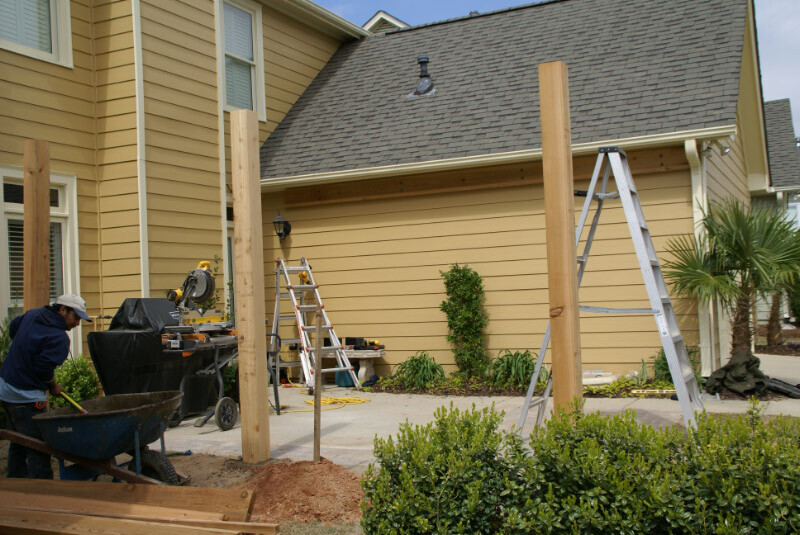 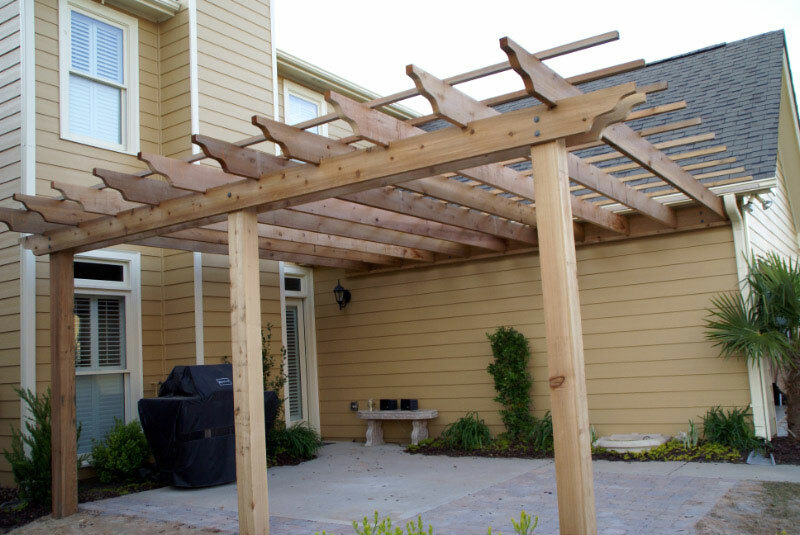 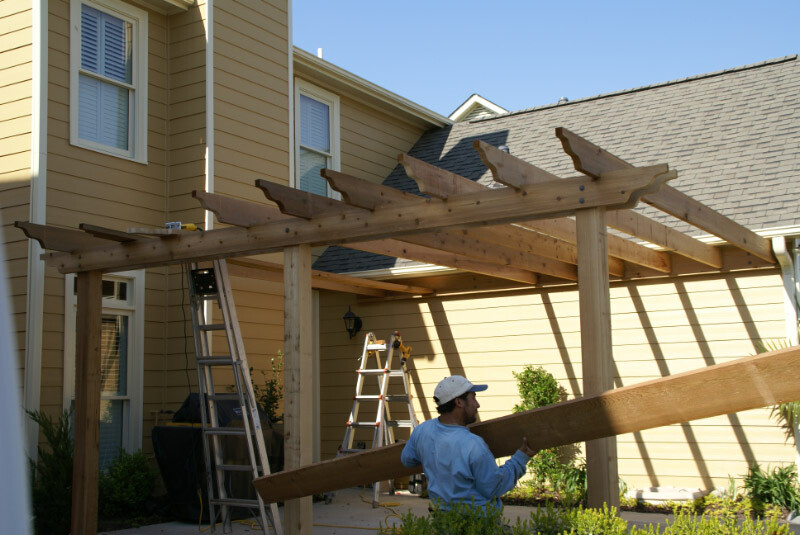 Solution: Expand the patio with pavers and build a pergola to provide shade. 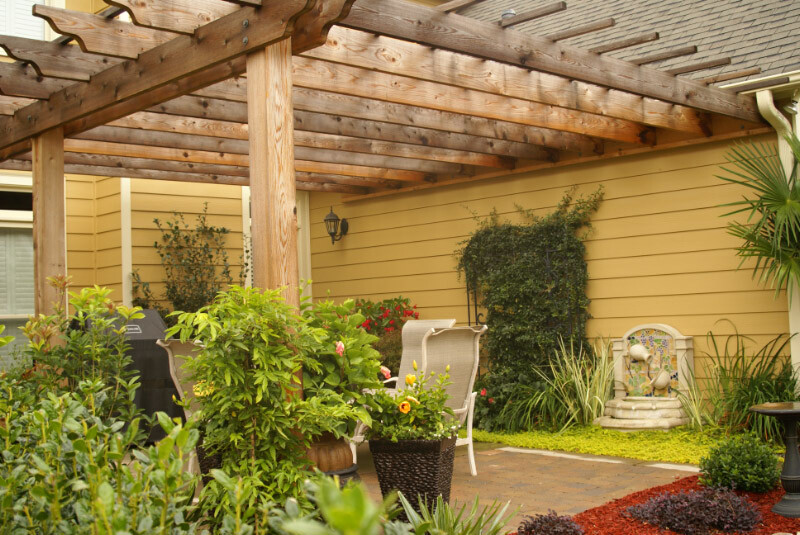 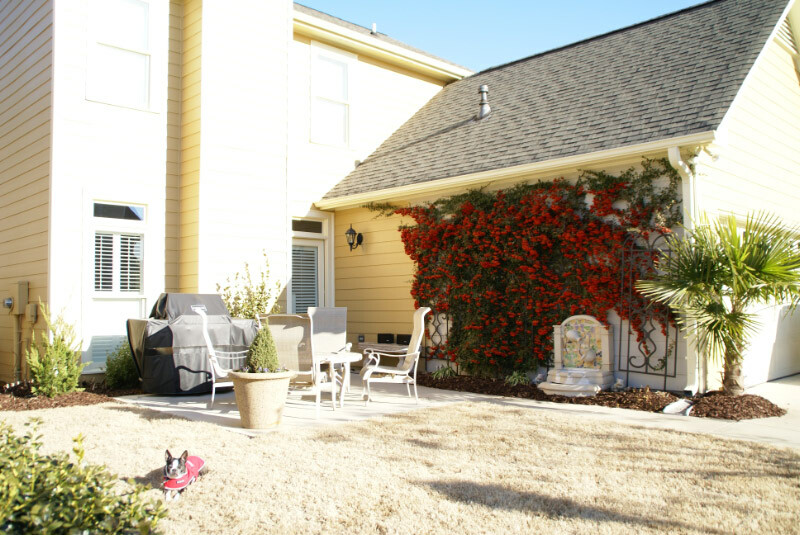 Add a variety of plants for color and texture and give the homeowners a space for an outdoor room.